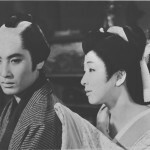 World Cinema Paradise | Blu-ray Review Round-Up: Films by Straub-Huillet, F.W. 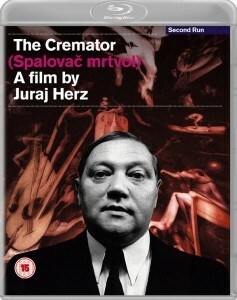 Murnau, Juraj Herz and more! 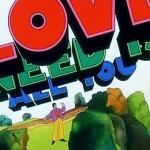 Blu-ray Review Round-Up: Films by Lina Wertmüller, James Whale, Jean-Luc Godard & more! 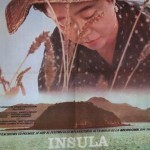 Blu-ray Review Round-up: Films by Hou Hsiao-hsien, Ken Russell, Robert Altman and more! Pedro Costa’s second feature Casa de Lava is a reimagining of Jacques Tourneur’s atmospheric horror classic I Walked with a Zombie (1943), and Costa is a filmmaker more than equipped to pick up Tourneur’s visual mantle. One of the premier creators of sensual, alluring imagery in modern film, Costa has become a wizard of digital filmmaking, coaxing breathtaking images from cheap digital cameras in In Vanda’s Room (2000), Colossal Youth (2006) and his latest, Horse Money (2014), all examinations of the effects of colonialism on Cape Verdean people. While those three films are all bewitching in their own ways, Costa’s shot-on-film efforts reveal a filmmaker equally capable of creating striking moments with more traditional tools. 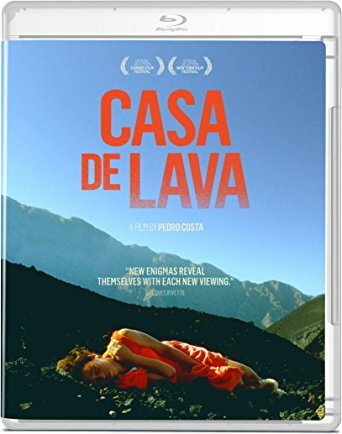 Set in the almost alien volcanic landscapes of a Cape Verde island, the film tells the story of a Portuguese nurse, Mariana (Inês Medeiros), who accompanies Leão (Isaach De Bankolé) back to his hometown after a construction workplace accident leaves him in a coma. Instead of finding family or friends willing to take over as caretaker, Mariana discovers a community that doesn’t seem to recognize him. As its source inspiration would imply, the man who was once Leão may not even be really here. Costa’s film is hazily dreamlike, drifting between vignettes as Mariana delivers doses of medication to the community, meets a French woman who was drawn to the island decades earlier (Edith Scob) and observes the island’s musical traditions. Medeiros’s performance has a searching quality, becoming entranced by the beauty of the country and its people and frustrated by her inability to understand Leão’s condition. Her blazingly bright red dress, an unchanging outfit that further reinforces the fuzzy temporal nature of the situation, is framed as a shock of color against the black volcanic rock of the island. It’s a reminder that she steadfastly remains an outsider in this place, both because of an unwillingness to understand (“Speak Portuguese,” she frequently tells the Creole-speaking islanders) and an inability to. Costa’s enigmatic movie challenges our own inabilities to understand, and its beauty makes us want to try. As a fledging label, Grasshopper Film has quickly become one of the most exciting distributors in the US in just a few years. Its Casa de Lava Blu-ray sports a 1080p, 1.66:1 transfer, and is the first US release of the film. By and large, this is a solid transfer, with much better clarity and detail than the Second Run DVD. 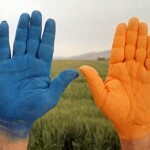 The transfer isn’t perfect, as viewed on a large screen, some haloing and edge fuzziness are visible. There’s also what appears to be a mastering error at the 1:06:49 mark, with a brief horizontal line of interference that appears over Mariana’s face. The uncompressed mono track is clean and clear throughout. The extras are mostly ported from the Second Run disc, which is worth hanging onto for its exclusive Costa interview. The Grasshopper disc ports a featurette on Costa’s production texts, an interview with cinematographer Emmanuel Machuel and Jonathan Rosenbaum’s booklet essay. New to this edition is an additional booklet essay from Darlene J. Sadlier, excerpted from a volume on the Portuguese diaspora. 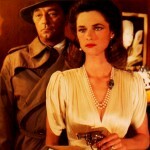 Released by Grasshopper just after Casa de Lava, Jean-Marie Straub and Danièle Huillet’s adaptation of Arnold Schoenberg’s unfinished opera is an apt companion piece, given Costa’s love for Straub-Huillet (and his 2001 documentary about the pair, Où gît votre sourire enfoui?). It’s also an encouraging sign to see some of these old New Yorker Films titles finally getting released, and this Blu-ray is tremendously better than what was made available on the endlessly delayed New Yorker disc. 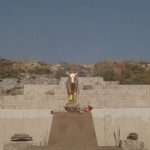 Bringing their famously austere style to Schoenberg’s intense telling of the Exodus story, Straub-Huillet set nearly the entire film in an unadorned amphitheater. Many of the film’s compositions are similarly spartan, but there’s a tension between what’s shown and what exists just out of frame. The film opens with a shot of Moses (Günter Reich) from behind, admonishing the Israelites to follow a new God and come out of Egypt. Every cut, like the one that reveals the Israelites, is deliberate, and every camera movement, like the pan up and across the desert sky that follows the film’s opening shot of Moses, serves to place the performative aspects of the film in a more mystical context. Even for an opera neophyte like myself, it doesn’t take much to get on the film’s wavelength, which feels far more frenzied than the concrete nature of Straub-Huillet’s images might suggest. 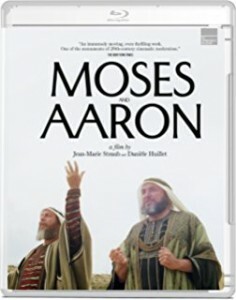 When Moses ascends Mount Sinai to receive the law, Aaron (Louis Devos) leads the people into a more hedonistic way of living, complete with choreographed dancing. Throughout, there’s a tension between the two leaders’ disparate ways of thinking and conceptions of God, a contradiction that’s acutely felt in Straub-Huillet’s telling. Sourced from a new 2K restoration, Grasshopper’s 1080p, 1.33:1 transfer is absolutely gorgeous, with exceptional clarity, a stable grain structure and healthy levels of fine detail. The uncompressed mono soundtrack offers an excellent, forceful showcase for the music. Three bonus Straub-Huillet films easily tip this over into essential disc territory: shorts Introduction to Arnold Schoenberg’s “Accompaninment to a Cinematographic Scene” (1972) and Machorka-Muff (1962), along with their feature debut Not Reconciled (1964), an adaptation of Heinrich Böll’s novel Billiards at Half-past Nine that examines the effect of the rise of Nazism on a family. Also included is an insert with an essay by Ted Fendt. Also of note: A small logo on the cover that says “The Straub-Huillet Collection”; let’s hope this is just the first release of many. 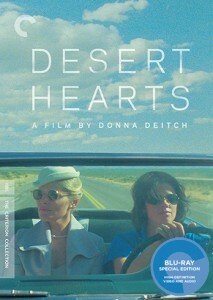 There’s a fascinating cut in Donna Deitch’s Desert Hearts, a landmark in the depiction of gay women onscreen, when buttoned-up Columbia professor Helen Shaver (Vivian Bell) and small-town free spirit Cay Rivvers (Patricia Charbonneau) share their first kiss. Before it happens, the two are enjoying a lakeside walk, discussing Cay’s recent breakup with a casino manager, and feeling the tentative push-pull of an attraction that’s been building since they first met. Then: A thunderclap and a sudden cut to the pair returning to the car, drenched by an unseen downpour. 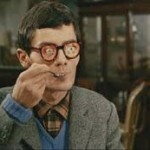 This kind of elision isn’t common in Deitch’s film, which has a languorous feel, scenes bookended by slow wipes or dissolves. This abrupt cut evokes the frisson of Helen’s overwhelming attraction suddenly overtaking her reservations, and a tender kiss through a rolled-down car window ensues. 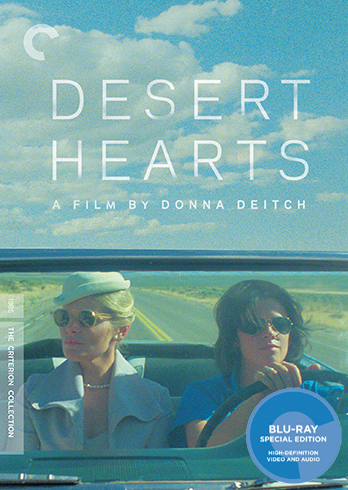 Based on Jane Rule’s 1964 novel Desert of the Heart, Deitch’s film notably chronicled a lesbian love story that didn’t end in some kind of implicit comeuppance via tragedy. Its characters are archetypes — the starched-shirt professor who’s come to Reno to finalize a divorce, the carefree young woman who’s her emotional opposite (introduced driving backwards down the highway) and the maternal figure (Audra Lindley) torn between tradition and compassion. The opposites-attract beats are familiar but not stuffy in this telling, thanks to performances from Bell and Charbonneau that feel truly collaborative in their give and take. Almost instantly, you can feel these two are on the same wavelength, Cay pushing and prodding and Helen resisting but not wanting her to stop. The film is set in 1959, when such a relationship would have to stay in the shadows, but Deitch avoids heavy-handed signifiers of social disapproval — we don’t need them — and focuses on the internal conflicts of two women trying to figure themselves out while knowing, even if only tentatively, that they want to be together. It’s a lovely, emotionally rich film, and Criterion has given it a release to match. 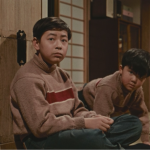 The 1080p, 1.85:1 transfer is sourced from a 4K scan of the 2K restoration by Criterion and the UCLA Film & Television Archive, and there’s no question this is the best the film has looked since those first prints were exhibited. Every detail of Robert Elswit’s gorgeous Western photography is immaculate, and the image is a grain-lover’s paradise, with perfectly rendered, film-like grain structure. The natural color palette is consistent and stable, and fine detail remains excellent even in dim, smoky casino interiors. The uncompressed mono soundtrack is perfectly clean, handing dialogue and the Patsy Cline-heavy country soundtrack well. Extras include a Deitch audio commentary ported over from the 2007 Wolfe DVD release and three new interview featurettes: Deitch with Jane Lynch, whose expressive love for the film is contagious; Deitch with Bell and Charbonneau (though mostly interviewed separately); and Deitch with Elswit and production designer Jeannine Oppewall. Two excerpts from a 1994 documentary give us a brief look at the book’s author, Jane Rule. 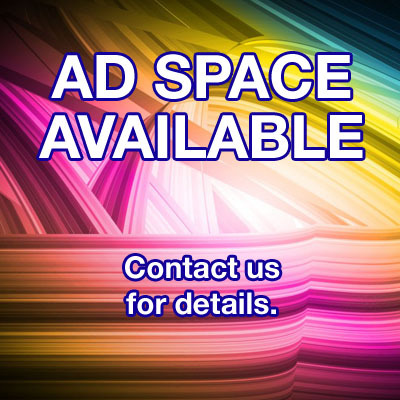 A trailer and an insert with an essay by critic B. Ruby Rich are also included. There’s a recurring event in Bill Morrison’s documentary/fantasia Dawson City: Frozen Time, where reels of highly flammable nitrate film are responsible for a devastating fire. The infernos are like signposts in this historical record, marking moments of seemingly inevitable destruction as time marches on. 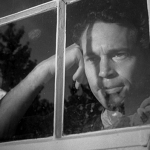 Morrison has always had a deep respect for celluloid and the decay that is its inextricable partner. 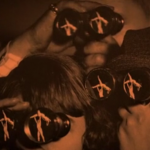 His 2002 film Decasia found transcendence in the decay, as he partnered with it to refashion and repurpose archival footage. 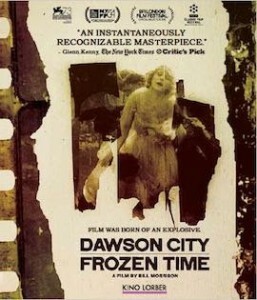 Dawson City: Frozen Time has more trappings of a traditional documentary, packaged inside a not terribly elegant frame story about the discovery of hundreds of reels of silent film footage, buried beneath an old ice rink in the Yukon. Talking-head interviews with two historians bookend the film (and it’s worth it for an adorable payoff), but the film feels more on Morrison’s turf once he delves into history, using both archival photographs and unrelated, but thematically correct, clips from the rediscovered footage to tell the story of the Yukon gold rush — and all its voracious appetites, rights of indigenous peoples be damned — and the aftermath, where a town that was the end of the line for movie distribution simply dumped the reels when they were finished. Morrison is an exceptional editor, cutting between the real and the fictional and setting them on equal footing. 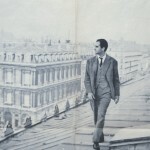 By giving us glimpses of these rediscovered films — some of which are ringed with the nitrate decay that Morrison seems to revel in — he illuminates history and complicates it. There’s an unspoken assertion that these pieces are only a fraction of what has been lost, and our histories will always be incomplete. That makes the improbable resurrection of all these included bits of film all the more thrilling. Kino’s Blu-ray sports a 1080p, 1.33:1 transfer that’s well-equipped to re-create all the celluloid glory, and there’s a pleasing clarity and detail to many of the shots, despite obvious damage. Everything shot recently looks fine, if a little flat, but the textures of the rediscovered film bits make this well worth the Blu-ray purchase. The 5.1 DTS-HD Master Audio soundtrack is a showcase for Alex Somers’ sweeping score. Morrison isn’t shy about using music to evoke emotion, but the elegiac, eerie score is so irresistible, it’s hard to mind. 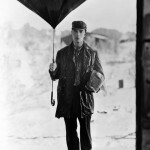 Extras include half a dozen reels from the Dawson City discovery, a featurette on the preservation of the films and a brief interview with Morrison. A trailer and a booklet with essays by Lawrence Weschler and Alberto Zambenedetti are also included. 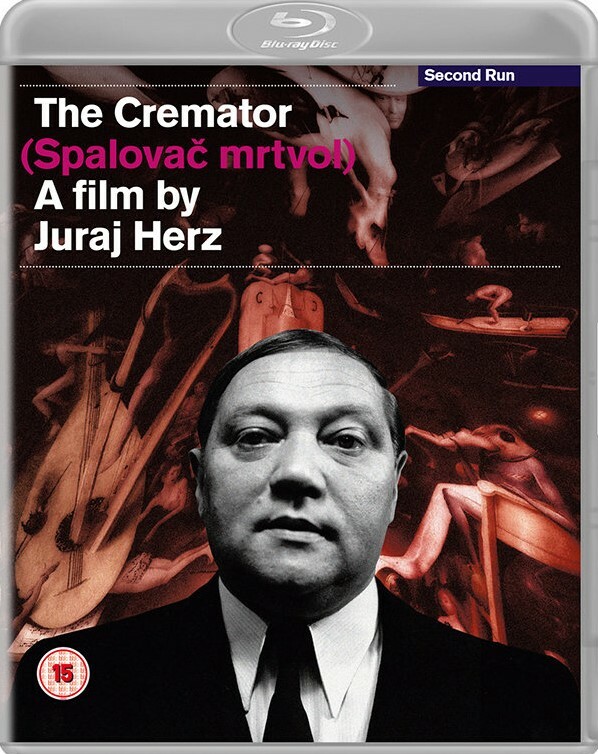 The mood is set immediately in Juraj Herz’s The Cremator, a shattering work of surreal horror and one of the great films about the creep of fascism. 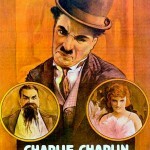 In a dizzying prologue full of jagged cuts and oddly composed close-up frames, Herz introduces Karel Kopfrkingl (Rudolf Hrušínský) and his wife (Vlasta Chramostová) and two children (Jana Stehnová, Miloš Vognič). Kopfrkingl strikes a nostalgic tone, reminiscing in front of the leopards about how he and his wife first met there many years ago. It’s the first time of many that his disposition will be opposed by the filmmaking, which drains the scene of even any potential for warm feelings, culminating in a mirrored fisheye shot of the group — a warped family portrait that will be visually rhymed by more fisheye shots in several climactic horrors. Hrušínský’s performance should be in the pantheon of all-time horror turns. 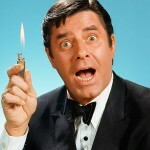 As the hygiene-obsessed cremator, he oozes smarm, constantly evangelizing about cremation as the ideal method for dealing with human remains. Why should one rot in the ground when a cleansing fire has the whole process finished in a mere 75 minutes? With his near-constant grooming and seemingly one-track mind, Kopfrkingl is clearly an odd person, but Hrušínský keeps elevating the discomfort, and soon his feelings about purity and rightness aren’t relegated to funereal procedures, but have entered the world of the living. The timing is convenient; Czechoslovakia is about to be overtaken by Nazis. 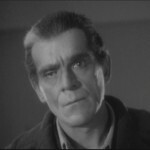 Herz walks a fine line between the hideous and the hideously entertaining, infusing this disturbing story with a streak of black comedy, and it’s his formal control that unites every tonal jackknife. Every frame and cut of the film has purpose, building to a conclusion that’s no less of a shock to the system because of its inevitability. Second Run’s new region-free Blu-ray features a 1080p, 1.66:1 transfer, sourced from a new HD scan by the Czech National Film Archive. Though there are quite a few marks on the source material, the transfer is absolutely gorgeous, with deep, rich blacks and impressive clarity throughout. Viewed on a nearly 100-inch projected screen, the fine detail and film-like grain reproduction are fantastic. The LPCM mono track shows some limitations, but handles the evocative score by Zdenek Liska nicely. 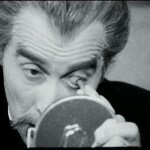 The Blu-ray ports over the Quay Brothers introduction from the Second Run DVD release, and adds several new features: an exhaustively biographical audio commentary track from Kat Ellinger, an episode of the Projection Booth podcast played over the film like a commentary track and Herz’s debut short, The Junk Shop (1965), made just before The Cremator. A booklet with an essay by Daniel Bird is also included. If there are narrative nits to pick with F.W. Murnau’s key work of the silent era, The Last Laugh, it’s hard to dispute the importance of the film’s look and approach. On one hand, it’s not difficult to imagine a film with more emotional heft, jettisoning the hermetic nature of the film’s alternate-reality epilogue and including it as an unannounced fantasy for the main character, Emil Jannings’ put-upon doorman. On the other hand, the film’s flurry of imagery, captured by Murnau’s newly nimble camera, and its usage of Jannings’ towering physicality supersedes the narrative limitations. In The Last Laugh, Murnau essentially forgoes intertitles to tell the simple story of a doorman’s precipitous fall from his position at a luxury hotel. The work is just barely above menial, but Jannings takes immense pride in his station and the elaborate uniform that accompanies it. Could any performer imbue a puffed-up chest or a beaming grin with as much meaning as Jannings? The specifics of his performance make his ensuing demotion to bathroom attendant all the more heart-wrenching. A spry, almost impish manner is transformed nearly instantly to something stolid; Jannings shock and disappointment is crystallized, and every reaction and movement seems to play out in half-time. Murnau uses Jannings brilliantly, both in wider shots that show his physical transformation and close-ups that reveal a face frozen in a horrified rictus. This is an elemental portrait of the indignities foisted on the working class, and even its underdeveloped depiction of the disappointments of domestic life and its awkwardly deployed conclusion can’t detract from that. 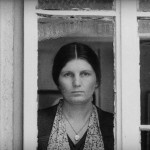 Kino’s 1080p, 1.33:1 transfer is sourced from a 2001/2002 restoration of the German cut by the Friedrich-Wilhelm-Murnau-Stiftung, which pieced together four different sources. 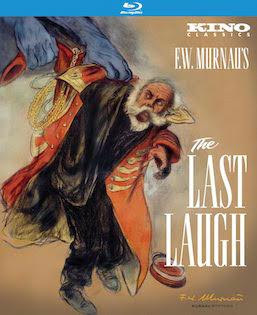 This is the same basis for the Last Laugh disc in the superb Region-B locked Masters of Cinema Early Murnau set, and the two transfers look basically the same. Despite the varied provenance, the film looks excellent, with impressive detail beneath the overlying damage and a fairly consistent level of sharpness and clarity. Grayscale separation is nice, with reasonably rich black levels and stable whites. 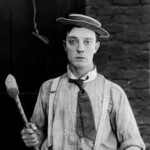 Two scores are presented in 2.0 DTS-HD Master Audio tracks: Giuseppe Becce’s original 1924 score, orchestrated by Detlev Glanert in a 2003 recording, and a brand new, peppier option from the Berklee Silent Film Orchestra. 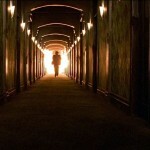 The Kino shares one extra with the MoC: a 40-minute making of. Exclusive to the Kino: an audio commentary by historian Noah Isenberg and a bonus DVD that includes the international export cut of the film (a third set of cameras shot a cut intended for the American market as well). This is a nice curiosity to have, but the unrestored image is so murky, it mostly acts to foster more gratitude for the restoration of the original cut. If you’re a cat person — and if you’re not, have you really given them a chance? — Kedi is like, well, catnip. Seriously, I’m not sure how you wouldn’t enjoy this 80-minute dopamine activator, which documents the lives of Istanbul street cats, who enjoy a laid-back symbiosis with their human cohabitators. Some are closer to our traditional notions of pets, but many symbolize the true essence of cathood: amiable independence. Cats are characters in Kedi — among the featured players are devoted mother Sari (also known as Yellowshit), polite deli-meat lover Duman and jealous lover Psikopat — and director Ceyda Torun and cinematographers Charlie Wuppermann and Alp Korfali do a remarkable job following a dozen or so cats through their daily routines as if they were willing participants in the making of the documentary. 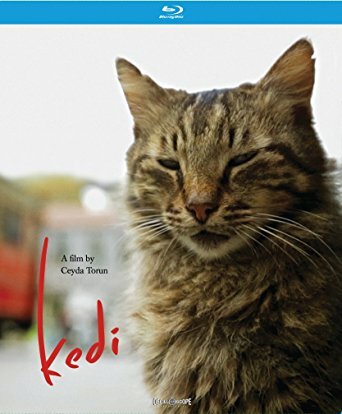 And while Kedi doesn’t display the ambitious structural or formal gambits that many of the year’s best documentaries do, it does act as a fascinating anthropological document without becoming overbearing about it. In its micro-focus on the lives of specific cats, Torun’s wandering eye falls on a number of humans, some as reflective and enigmatic as the cats seem to be. These vignettes reveal human/feline relationships that have developed in meaningful ways for man and beast. For some people, it offers a caretaking responsibility that distracts from the hardships of life. For others, they see the cats as the caretakers, establishing some sense of order or purpose in their own life. The film often uses wide aerial shots as bumpers, providing a broader view of the beautiful city of Istanbul. But its fundamentally intimate perspective — and the voices of ordinary people only represented here because of their proximity to certain cats — gives the film a feeling of possessing essential truths about the way people, and their precious companions, really live. Oscilloscope’s Blu-ray presents the film in a sharp 1080p, 1.78:1 transfer full of vibrant color and fine detail, with a 5.1 DTS-HD Master Audio soundtrack that fills in the sounds of the city. 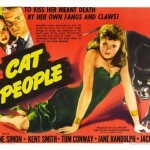 A commentary track with Torun, Wuppermann and editor Mo Stoebe features some wistful reminiscence to go along with your own awws at the kitties, while a “commentary track” featuring some of the film’s feline stars is perfect for eliciting bewildered looks from your own cats. A making-of featurette, deleted and extended scenes and a trailer are also included.